Bondi Rescue HQ is a café overlooking picturesque north Bondi Beach. 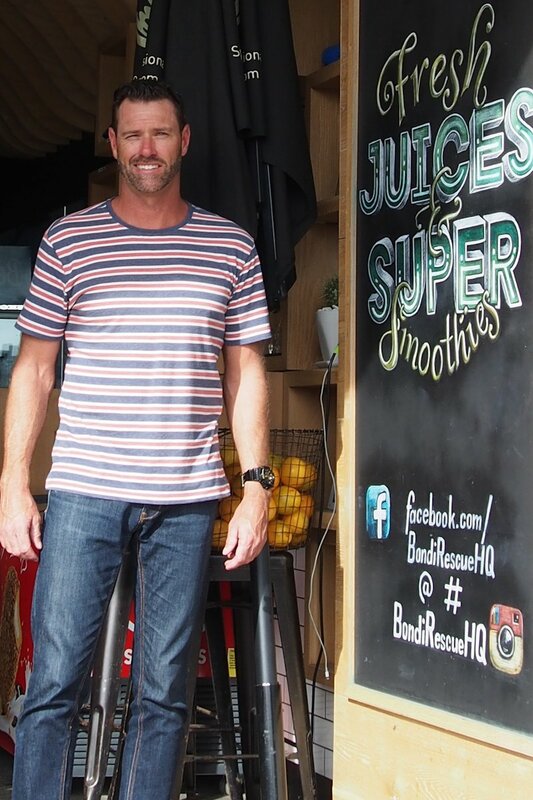 This juice and smoothie hut is an extension of the Bondi Rescue brand and aims to bring fresh and healthy alternatives to the iconic beach. Lifeguard and Bondi Rescue veteran Bruce ‘Hoppo’ Hopkins is at the forefront of this venture and is helping to educate beach goers on the importance of a healthy lifestyle. BRHQ is the beginning of an expansion that Hoppo has been planning for about five years. After 23 years as a lifeguard educating people on water safety, he has personally noticed a drop-off in the number of children coming down to Bondi to enjoy the beach and water activities. He’s hoping that a healthy, family friendly headquarters can help turn the tide and he’s bringing with him a brand that is trustworthy and that people can have confidence in. The spot opened with a soft launch in September and has come into its own through a glorious summer highlighted by fresh cold drinks, Campos coffee and delicious salads. 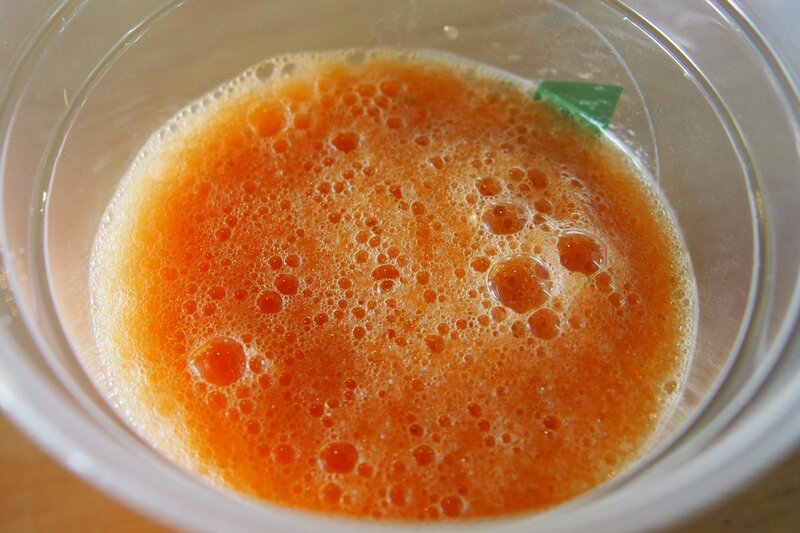 The flat rock juice combo was served ice cold and is made up of apple, carrot, watermelon and ginger. That’s all that goes in and all that I could taste, it was fantastic. Normally in mixed fruit juices there is one overriding ingredient but this blend was spot on. 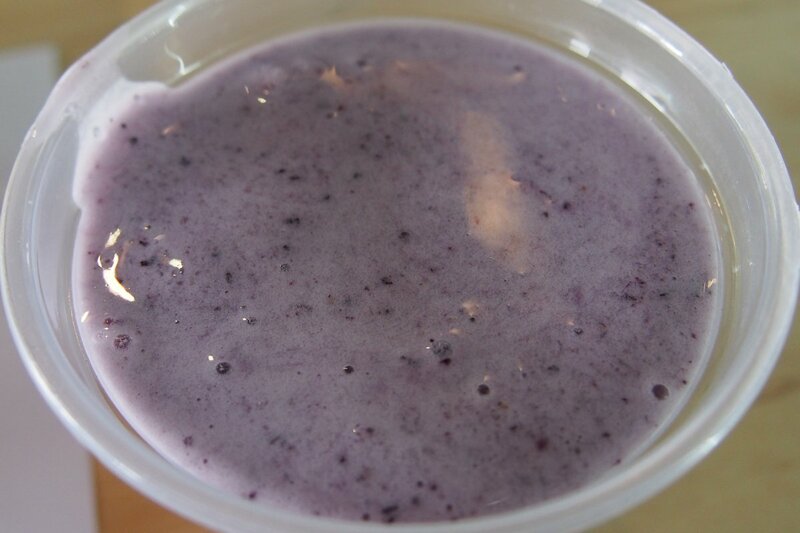 The muscle up smoothie contained banana, blueberries, coconut water and protein. While I don’t normally like coconut water, I enjoyed this smoothie which is the perfect accompaniment to a beachside workout session. 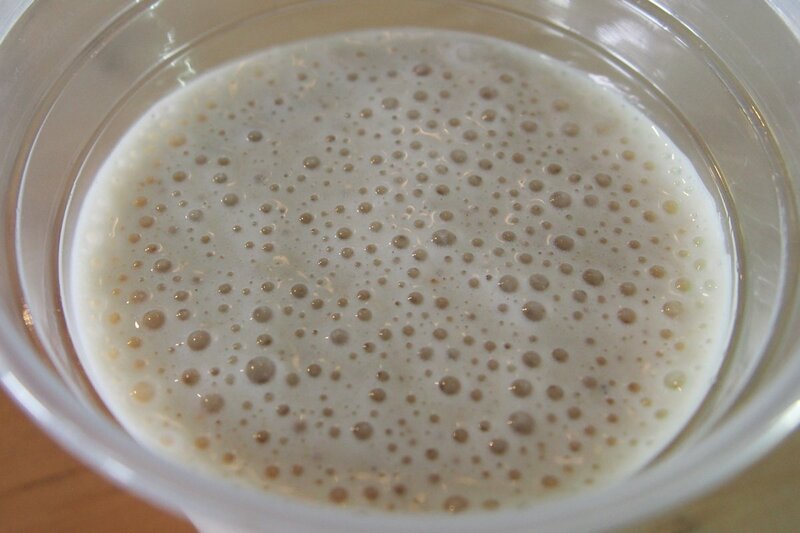 As is the jungle gym smoothie which was my favourite and contained banana, almond milk, protein and maca powder. All of these smoothies are $8 for regular or $9.50 for large. They’ll customise your drink for you too so whatever juice you feel like, just let them know. 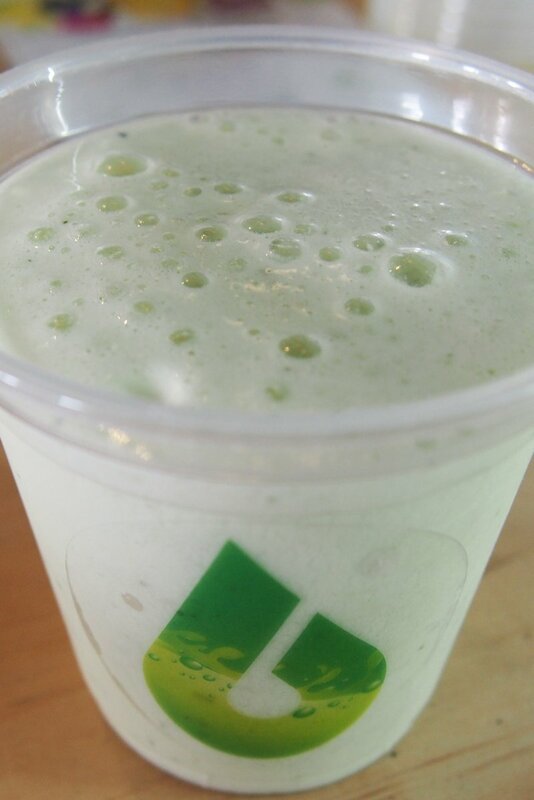 One customer recently asked for an unusual protein drink: apple, cucumber, mint and protein. 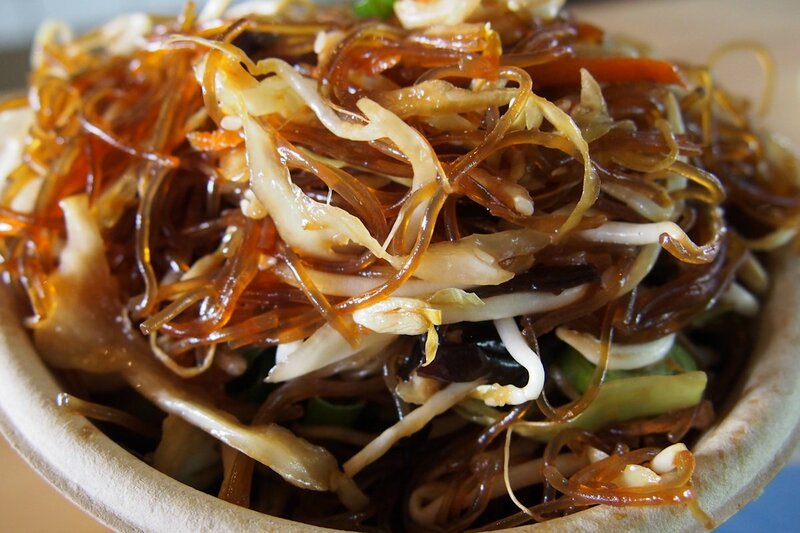 It works so well that it was prepared again for me and you can expect to see it added to the menu in coming weeks. Whenever someone inspires the crew behind the counter, there is a good chance that they will see their concoction added to the board! 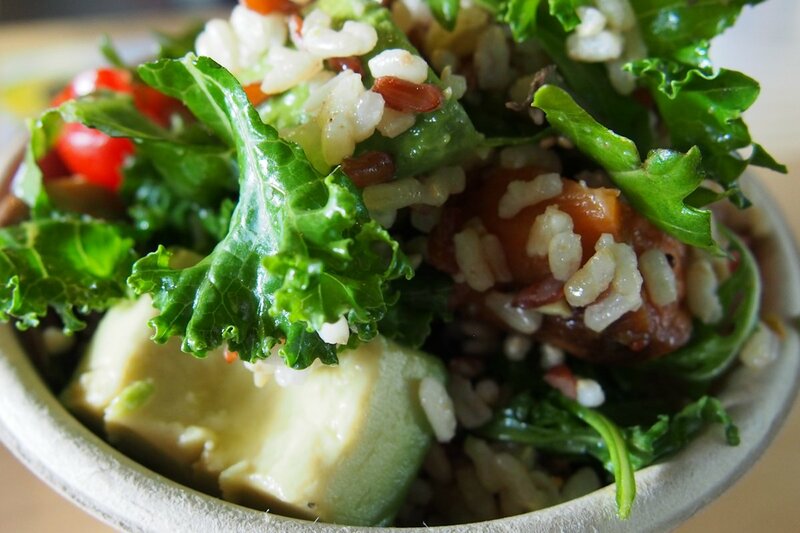 Served with biodegradable bowls and forks, salads are $9.90. They’re made fresh daily and all that I tried were fantastic and great for grab-n-go meals. 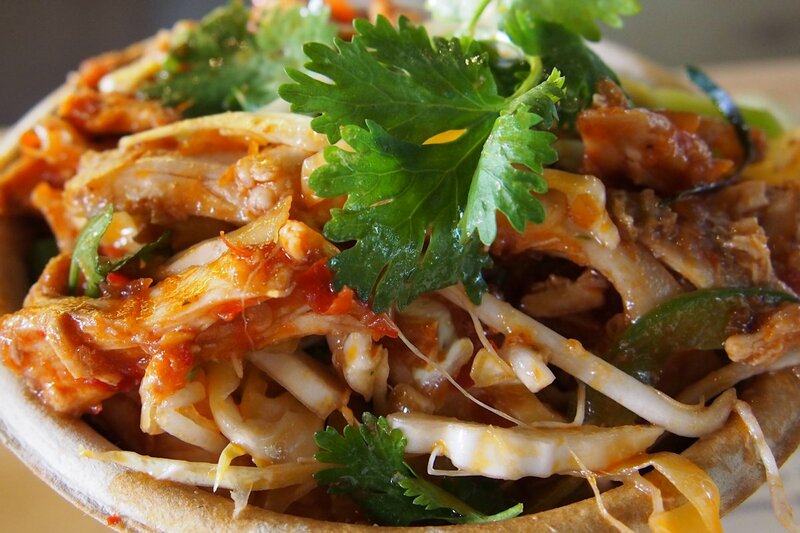 The Thai chicken salad actually contains a decent amount of chicken and has quite a chilli kick (you have been warned). It was definitely my favourite. Sufficed to say that I left Bondi Rescue HQ with a very big smile on my face. This will be my new smoothie or juice spot if I’m in the area as I can genuinely say that I enjoyed all of my samples. Expect to see BRHQ expand interstate and to countries with some of the show’s more enthusiastic fans such as the UK and China. The idea is that not everyone can get to Bondi, so a bit of Bondi will go to them! However if you’re in Sydney and in particular, down at Bondi, you now have a new destination. This entry was posted in Sydney - Eastern Suburbs and tagged Dog friendly, Organic Options, Outdoor seating, Parking close by, Reasonable prices, Water views. Bookmark the permalink.